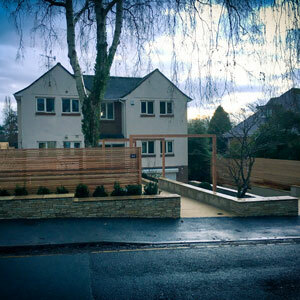 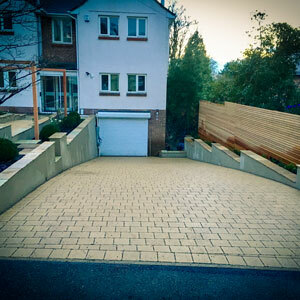 To completely renovate a tired and uninviting front garden and driveway by introducing a modern look and opening up the space to create a show-stopping approach and entrance. 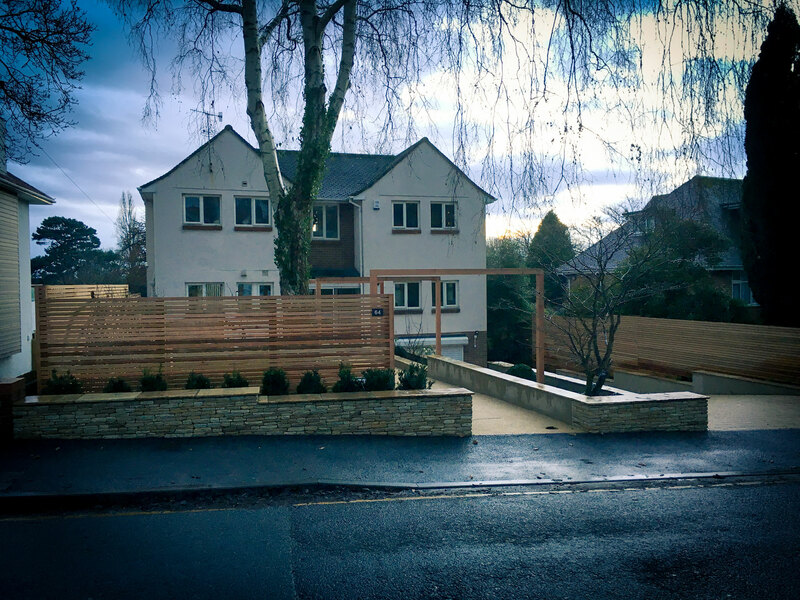 There were some constraints to work to on this project due to the TPO (Tree Preservation Order) and RPA (Root Protection Area) on the large silver birch tree. 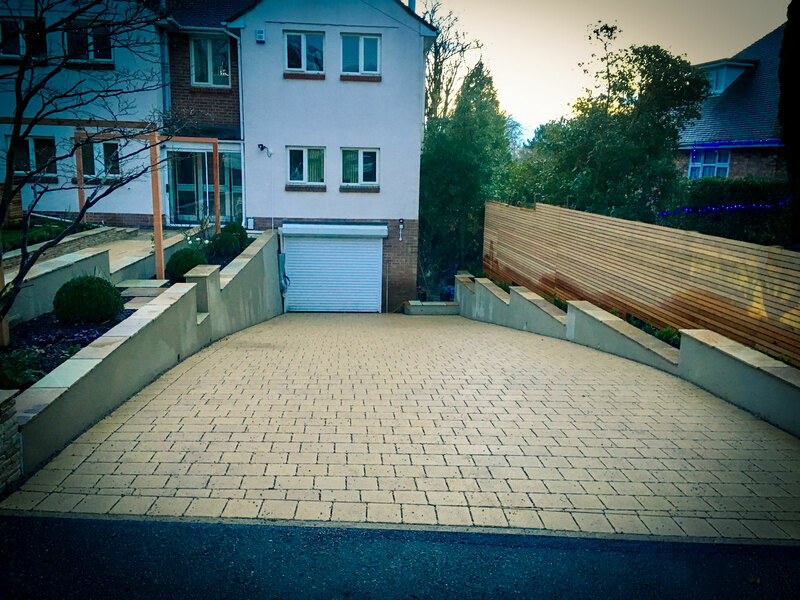 Due to the RPA of the silver birch, all existing walls had to bereplaced in the same positions and the paths and drive had to be laid to a specification that ensured root protection and permeability. 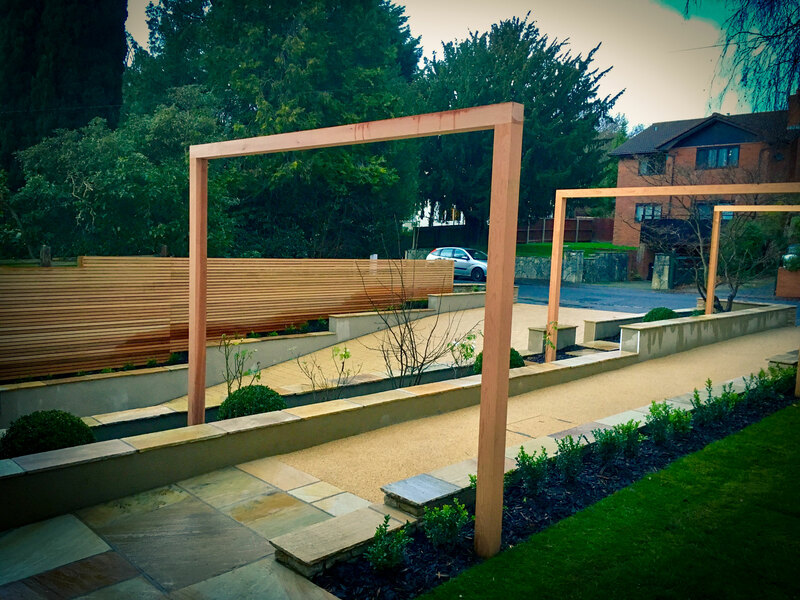 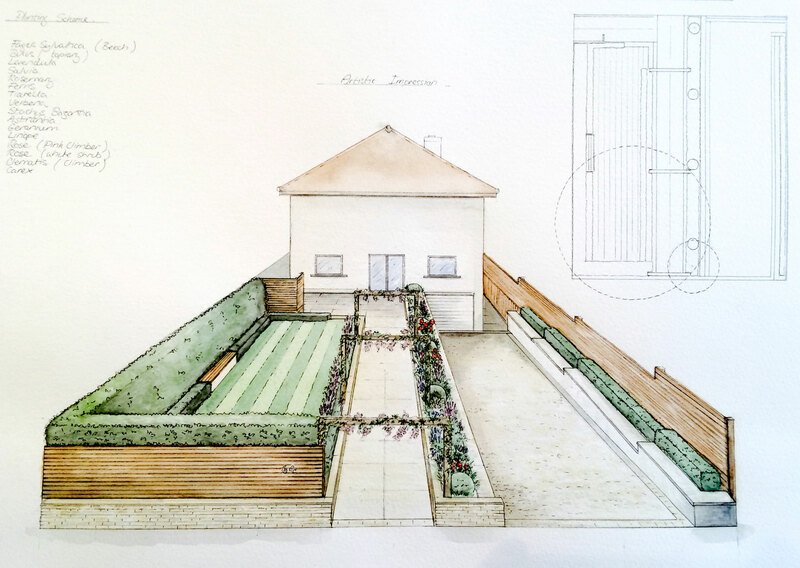 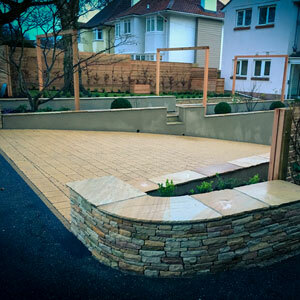 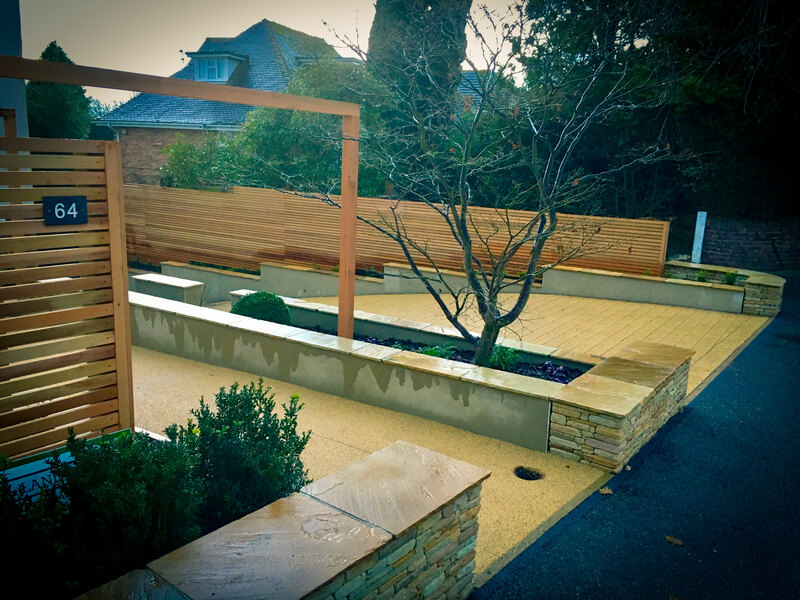 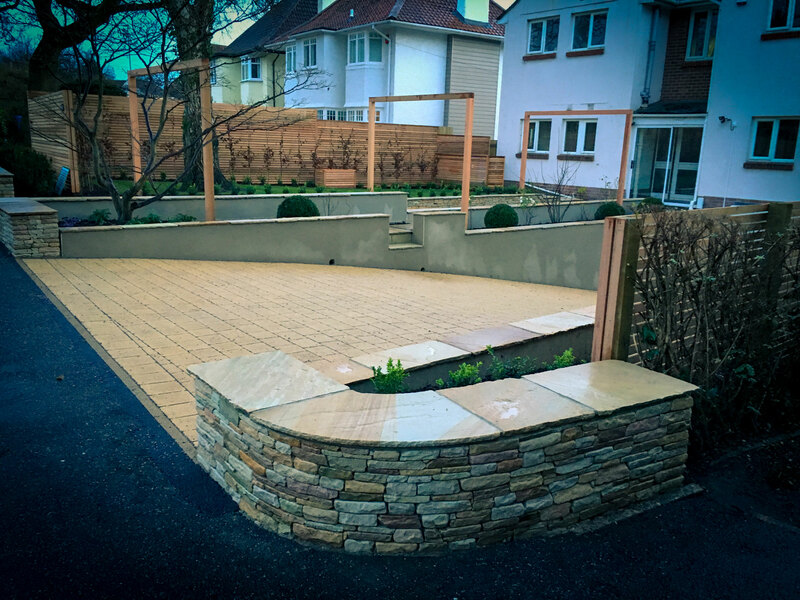 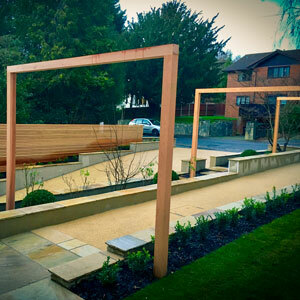 Sandstone walling and paving combined with other similar light-toned materials form the hard landscaping, whilst the cedar fencing and arches give warmth and height in the garden. 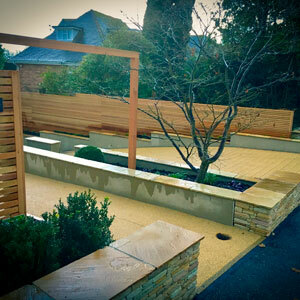 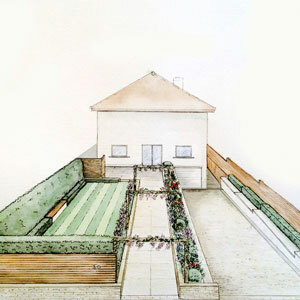 A formal planting scheme of large box balls and hedging with summer flowering perennials soften the hard lines in the garden.